LasVegas RJ editorial recaps Obama lecture 2 Runnin’ Rebs: he’s got most disconnected, backasswards plan ever imposed on the country we love. Honestly, don’t Palin’s tweets resemble the notes scribbled stealthily on scraps of paper and then passed surreptitiously between absent minded third graders? Then again, what should we expect from the imbecile who took five years and six sub-par colleges merely to attain a bachelor’s degree? 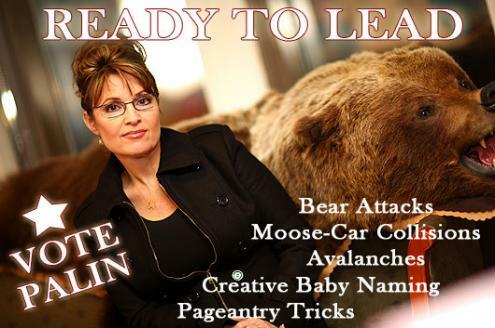 By the way, where is Palin’s detailed plan for recovery? Answer? She has none. Her sophomoric repetitions of calls for tax cuts and “drill baby, drill” are simply examples of conservative catchwords that offer no true detailed plan. Really, Sarah please tell us in detail how you would resolve the mortgage lending crisis. Would your answer be as stupid as the one you gave Bill O’Reilly last month when he asked you how you would cure the Gulf oil spill and you told him the answer was to stop the gusher? Please Sarah, do us a favor and just shut up for one day! Unless you are with the A.I.P.